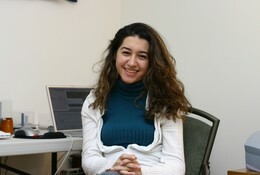 Marwa Alkhairo is an Iraqi-American student based in the Washington DC area. She is graduating from George Mason University with a degree in Government and International Politics in May 2006. Marwa is the Database Manager and Business manager at Quilting Point.